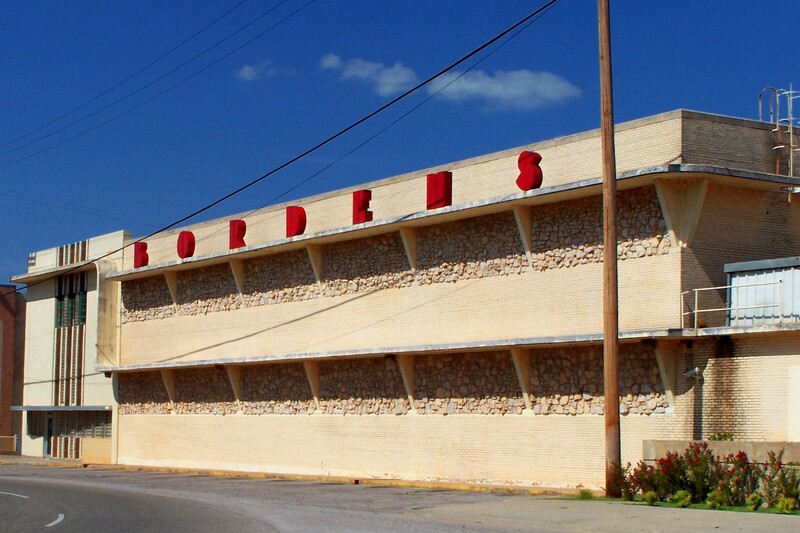 Borden’s arrived in Oklahoma City in 1937 after owners bought the old Evans Dairy on Broadway. 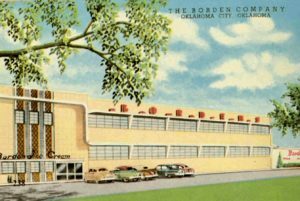 When this Streamline Moderne building was constructed 10 years later, Borden’s was one of the largest dairies in the country. 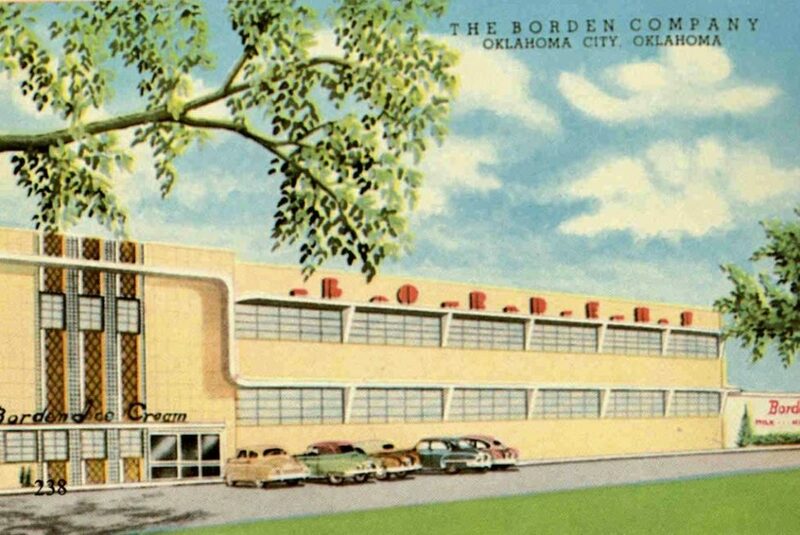 The dairy remained in this location nearly five decades but in a cost cutting measure, Borden’s closed this branch in 1995 and consolidated with Tulsa plant. Other than the rock-filled windows, the dairy building is in excellent original condition, and the main entrance is now home to Stone Sisters Pizza.